Children have a variety of interests, skills and learning preferences. This is why we have adopted an exciting and creative approach to Sunday School—the “Workshop Rotation Model”. 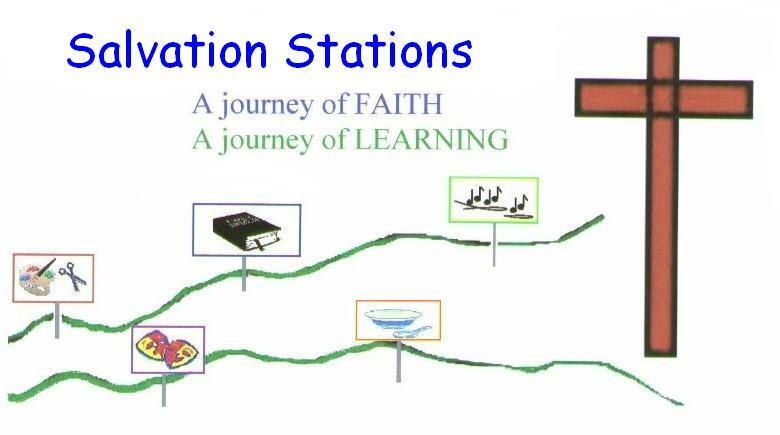 One Bible story is presented over the course of several weeks through a variety of stations. Each station involves the children in different learning activities such as art, cooking, drama, music, games, puppets, video, storytelling, computers, science, etc. The schedule and room assignments are listed in Worship bulletin each Sunday. Children age 3 through 6th grade are invited to participate. Classes are on Sunday mornings from 10:00-10:50. While we want our children to have fun in Sunday School, that is not the most important consideration for using this model of Sunday School. We want our children to have a saving relationship with the Lord and to grow in their faith and to put their trust in God. 2017-18 Year can be found here. Descriptions of the Stations can be found here.